Quizlet Diagram Maker is a free tool from Quizlet that allows students to learn in a visual way. Students can easily create diagrams using images and text. They can add annotations, locations and definitions. They can also add different layers of customization to their study material. Using Quizlet’s diagram-specific activities students will get to review and learn from their diagrams in fun and interactive ways. 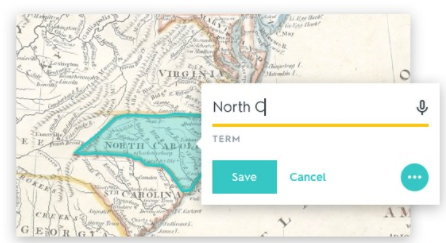 Teachers can also use Quizlet Diagram Maker to create visual diagrams to save and share with students in class. The process is simple and easy. Diagrams can be accessed from the web as well as mobile devices. Click here to see an example of a diagram created by Quizlet Diagram maker. Please note that for designing your own diagrams you need to create a free account. Watch the video below to learn more about this Diagram Maker.